Charming and completely updated 3 bedroom, 2 bath home! If curb appeal and character is at the top of your list this home boasts it! You will be greeted by a beautiful walkway and welcoming front porch. 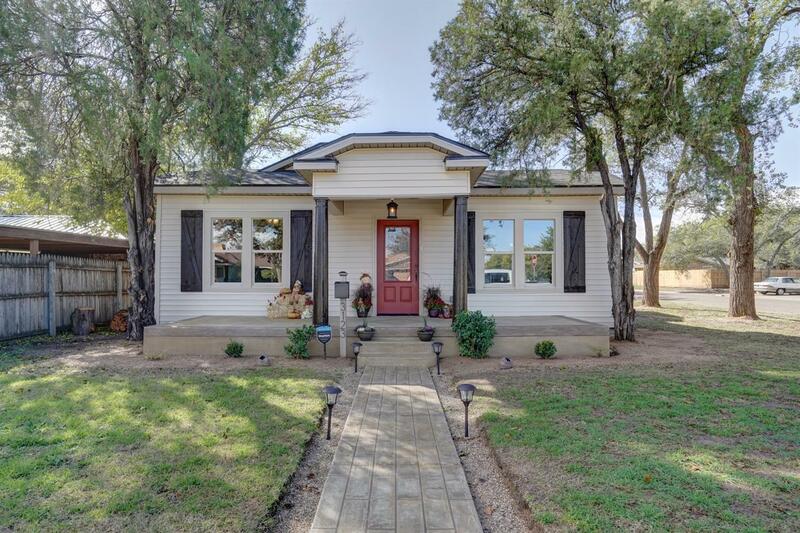 This fabulous home features hardwood floors, shiplap, designer paint colors, all new appliances including refrigerator/washer and dryer, electric fireplace, new windows, exterior siding, electrical wiring and panel. A quaint backyard oasis complete with a fire pit for those crisp, cool evenings finishes off the charm. You will feel right at home in this cozy, newly renovated dream home. Call for a showing before it's gone!